It’s felt like a long week in Torres del Paine, and a lot has happened in the aftermath of the fire that consumed almost 15,000 hectares (roughly 36,000 acres) in Chile’s premier national park but was finally brought under control last Sunday night. President Sebastián Piñera has responded to furious criticism from Puerto Natales, the city with the most to lose from Paine’s shutdown, by proposing harsher penalties on those who start wildfires, whether intentionally or not. Rotem Singer, the 23-year-old Israeli accused of starting the blaze by carelessly burning toilet paper, faces 60 days in jail. Whether or not Singer does jail time as the responsible party – he denies his culpability - it’s unlikely that stronger criminal penalties will prevent future wildfires. The fact is that, since I first trekked the Paine backcountry in 1981 and saw only three other hikers in ten days, park visitation has increased by leaps and bounds. It's now pushing 150,000 visitors per year and, while not all of them hike the strenuous overnight circuits that offer the park’s optimum experience, numbers alone make it likelier that some inexperienced camper will commit a costly blunder. No increased legal penalty is likely to reduce that statistical probability but, arguably, closer supervision of hiking permits could help. While I would not want to see the park trails limited to guided hikes, obligatory attendance at a fire safety lecture by park authorities could make sense – this would be easy to organize when visitors pay their park entry permits - and rangers should hike the trails to check permits. 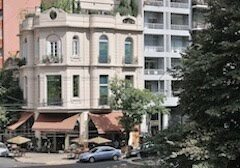 While we’ve heard lots of sensationalism and political opportunism in the aftermath of the fire, we’ve not heard much detail about the actual impact. Fortunately, the Corporación Nacional Forestal (Conaf) has published a statistical summary that provides a more thorough glimpse into what happened. Of the area in question, roughly 60 percent consists of bunch grass steppe that, other things being equal, will recover quickly. Nearly all the rest, however, comprises native forest of southern beech and a few other species that, in this environment, have a short growing season, so this is more problematical. The Conaf map above suggests the extent of the fire, but not its intensity in any given area. Meanwhile, from Puerto Natales, my friend Tim Burford – author of a competing guidebook whose name I will refrain from mentioning here – reports that the park is indeed open. Staying at the new all-inclusive hotel The Singular, in nearby Puerto Bories, he wrote that they were sending two trips into Paine, one to the isolated eastern Sector Laguna Azul, and that the highly regarded Berkeley operator Wilderness Travel – for whom I once worked briefly – was also sending a group. 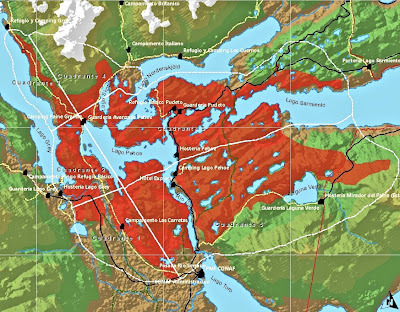 The Glaciar Grey segment of the “W” route may be closed for January but, as Tim says, “there’s a lot of pressure to get the rest of the park open ASAP to keep Natales alive." 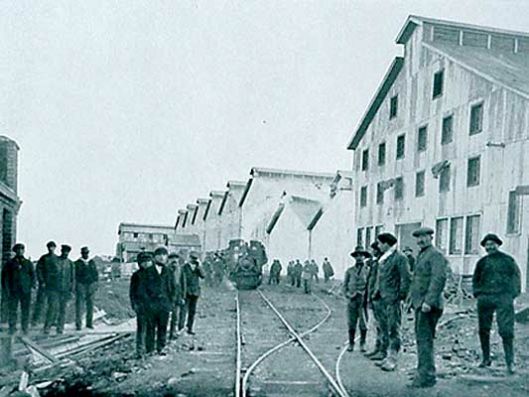 As a digression, it’s worth mentioning The Singular, which was under construction when I was in Natales during the last austral summer. It’s taken part of the historic Frigorífico Bories (pictured above around 1920), the meat freezer that was one of the area’s biggest employers, and recycled it into a state-of-the-art facility that presumably will compete with other elite accommodations such as Hotel Indigo Patagonia, Hotel Altiplánico del Sur, and Hotel Remota. 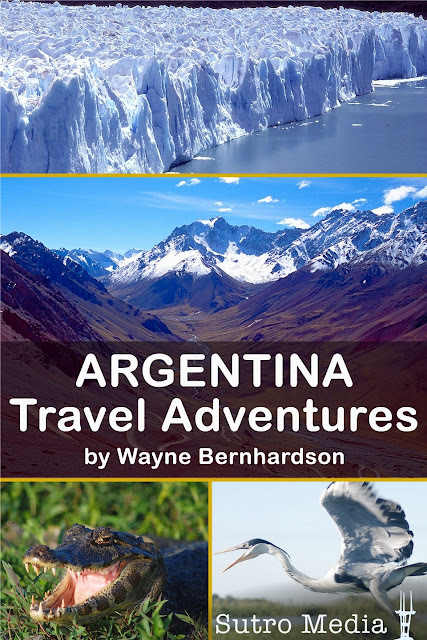 To repeat, my new Sutro Media iPhone app, Argentina Travel Adventures, is now on sale at the iTunes Store for just $2.99. 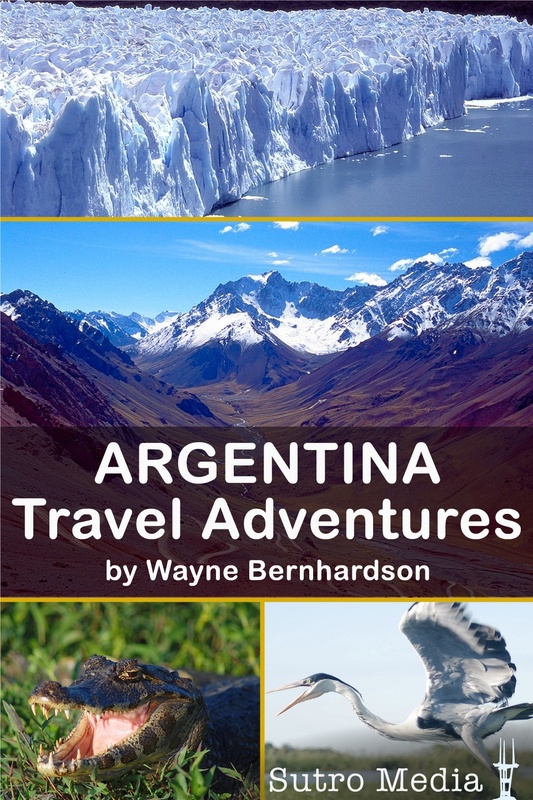 Also suitable for the iPad and iPod Touch, it’s an ideal and inexpensive resource for researching your trip to the buoyant capital city of Buenos Aires, the thundering Cataratas of Iguazú, the wine country of Mendoza, Patagonia’s groaning Glaciar Moreno, and many other destinations.